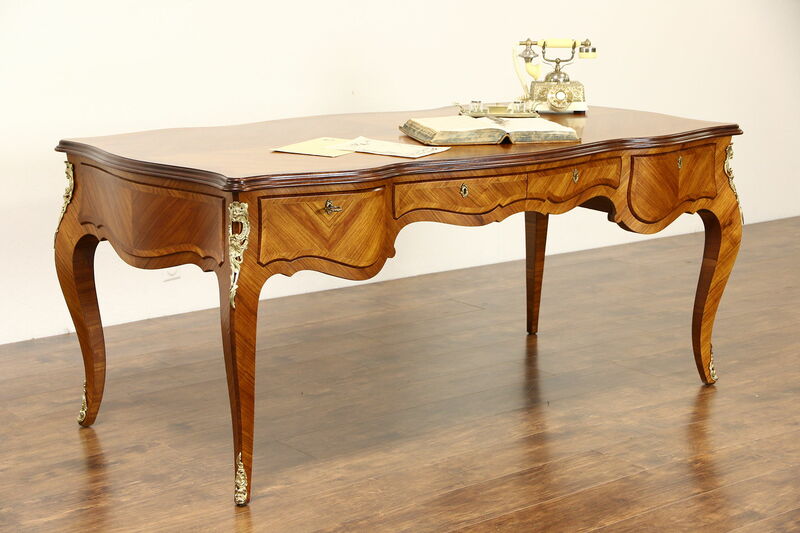 A Northern Italy genuine exotic tulipwood desk was expertly crafted in the 18th Century manner during the 1930's. The renewed satiny finish is in excellent condition on matched and banded vintage library furniture. Curved top and sides are beautiful. Four drawers have working locks, the key is the handle. Mounts are original. Measurements are 6' 1" long, 38" deep, 31" tall and legroom is about 25" under this palatial writing desk.